Heat oven to 425F. In a small bowl, blend together 2 tablespoons softened butter and 4 green onions, finely chopped. Season with salt and set aside. In a food processor, add 2 cups frozen peas, thawed, and 1 cup ricotta, pulse to coarsely puree. Season with salt and pepper. Spread green onion butter on ciabatta bread. Bake in oven until toasted, about 8 minutes. Arrange ham on buttered bread. Spread ricotta mixture over ham and bake until hot, about 10 minutes. Arrange sliced radishes on top. 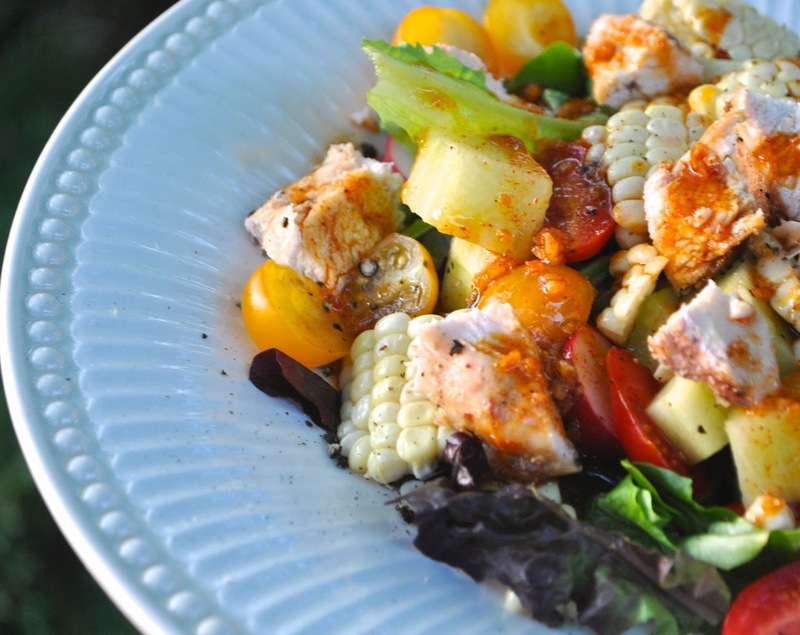 This is the perfect time of year to be dining outside here in Fayetteville – beautifully flavorful and fresh, this Mexican Chicken Salad is the perfect accompaniment to your al-fresco experience. Cook the corn in a saucepan of boiling, lightly salted water for 1 to 2 minutes. Drain and set aside. Tear the lettuce into bite sized pieces and arrange on a serving platter. Add the chicken, radishes, tomatoes, cucumber, cilantro leaves and corn. Lightly whisk the burrito seasoning mix, brown sugar, olive oil and lime juice together in a small jar. Taste and add a little salt if needed. Drizzle dressing over salad and serve. 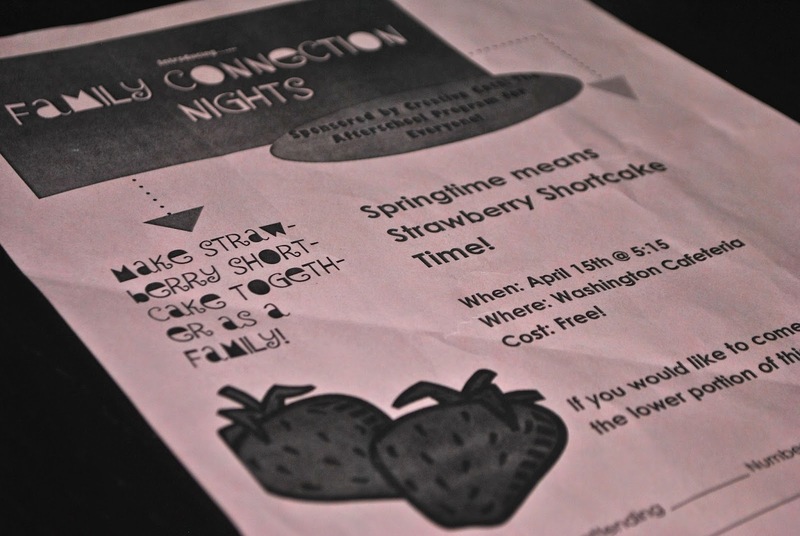 Our school offers Family Connection Nights during the year, which are a fabulous and fun idea, but for one reason or another, our family hasn’t ever been able to attend. We were all super excited about the strawberry shortcake making evening, but because of after school activities the timing didn’t work for us. 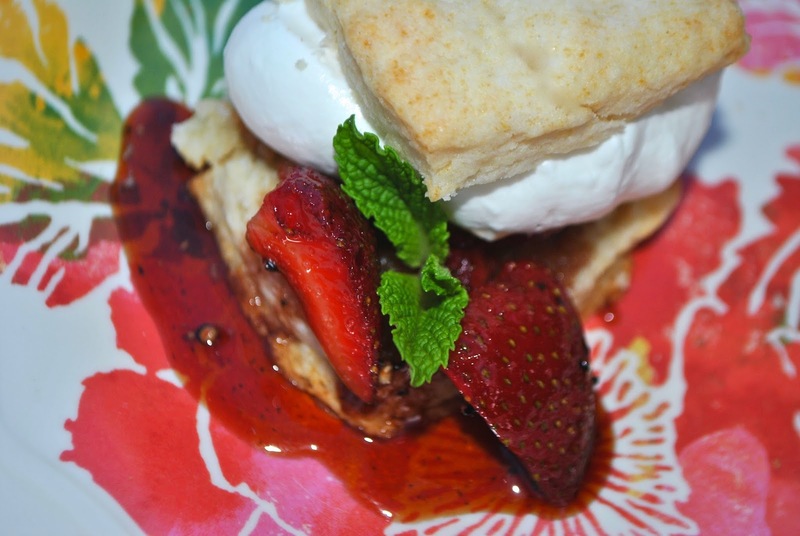 I placated the kids by offering to make strawberry shortcakes at home, and found this yummy recipe – amazing, melt-in-your-mouth biscuits and the wonderful adult twist of adding balsamic and black pepper to the strawberries, although I left them plain for the kids. Also, the strawberries were delicious on Greek yogurt the next morning, with a drizzle of honey and a sprinkle of pecans. Position rack in the center of the oven and preheat to 425F. Line baking sheet with parchment paper. Place flour, 4 tablespoons of sugar, baking powder, and salt in processor. Using on/off turns, process to blend. Add butter, cut in using on/off turns until the butter resembles large peas, about five 1-second intervals. Add cream, using on/off turns, process until moist clumps form. Transfer dough to a lightly floured work surface. Gather dough into a ball, flatten into an 8 by 4 inch rectangle, about 1 1/4 inches thick. Cut lengthwise in half, then crosswise into 4 equal strips, forming 8 square biscuits. Transfer biscuits to prepared baking sheet and chill for 20 minutes. Brush the top of the biscuits with egg glaze, sprinkle with remaining 1 tablespoon sugar. Bake until biscuits are golden brown and tester inserted comes out clean, about 12 to 15 minutes. Transfer to a rack and cool. Mix strawberries, 5 tablespoons sugar, vinegar and black pepper in a medium bowl. Let macerate 30 minutes, stirring occasionally. Using electric mixer, beat cream, vanilla and remaining 1 tablespoon sugar in another medium bowl until peaks form. Cut biscuits horizontally in half. Place bottom half of each biscuit, cut side up on plate. Using slotted spoon, divide strawberries among biscuits. Spoon dollop of whipped cream atop strawberries. Cover each with top half of biscuit. Drizzle some of the juices from the strawberries around the shortcakes. Easter has made its appearance, and Spring is in the air, with all its possibilities of new growth and fresh produce. 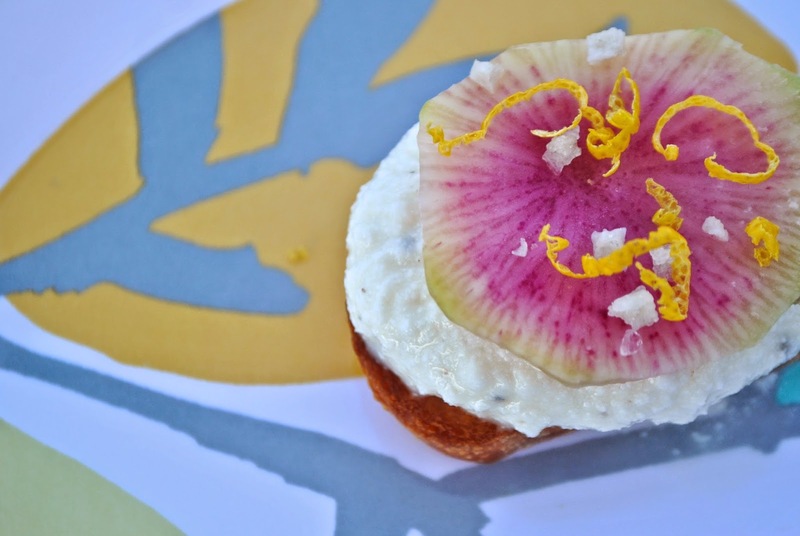 Although this Ricotta and Radish Crostini could be made with any type of radish, I thought the watermelon radishes looked especially lovely and seasonal. Drizzle baguette slices with a little olive oil, and toast in a 350F oven. Stir together the ricotta cheese, lemon juice, salt and pepper. 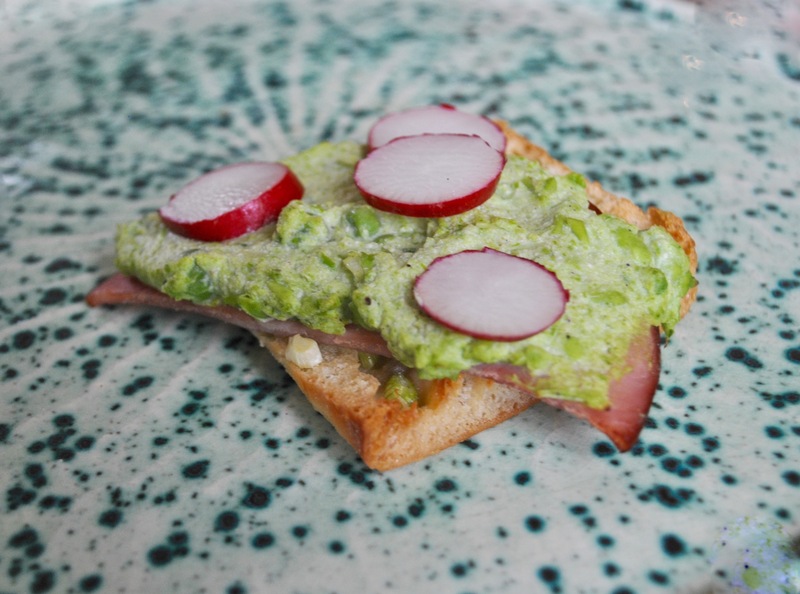 Spread the ricotta mixture onto each toast and top with slices of radish, a sprinkle of salt and grated lemon peel. While Mum was visiting last summer, she spoiled her Grandchildren with lovely breakfasts each morning. Made from scratch pancakes and sausage, delivered on a tray to their room, while they enjoyed their morning in bed. I thought I had better make more of an effort to provide interesting and delicious meals in the morning – although my kids have to come out to the kitchen to serve themselves. Butter a 9 by 5 inch loaf pan, set aside. In an electric mixer, fitted with the paddle attachment, cream butter and sugar until light and fluffy. Add eggs, and beat to incorporate. In a medium bowl, whisk together flour, baking soda, and salt. Add to the butter mixture and mix until just combined. Add bananas, sour cream, and vanilla, mix to combine. Stir in chocolate chips, and pour into prepared pan. Bake until a cake tester inserted into the center of the cake comes out clean, about 1 hour. Let rest in pan for 10 minutes, then turn out onto a rack to cool. Prepare a 9 by 5 inch pan, greasing the inside with butter, or baking spray. Use an electric mixer to beat together the butter, ricotta and sugar, on high speed for 3 minutes, until pale and fluffy. Add the eggs one at a time, mixing on medium speed for one minute, after each addition. Mix in the lemon zest and vanilla extract. Remove the bowl from the mixer and stir in the dry ingredients in 3 or 4 additions, until just incorporated. Do not over mix. Stir in the blueberries. Pour the batter into the prepared loaf pan. Place on a baking sheet on the middle rack in the oven. Bake for 65 to 70 minutes, or until a wooden toothpick comes out clean. Remove from oven and let cool for 15 minutes in the pan. 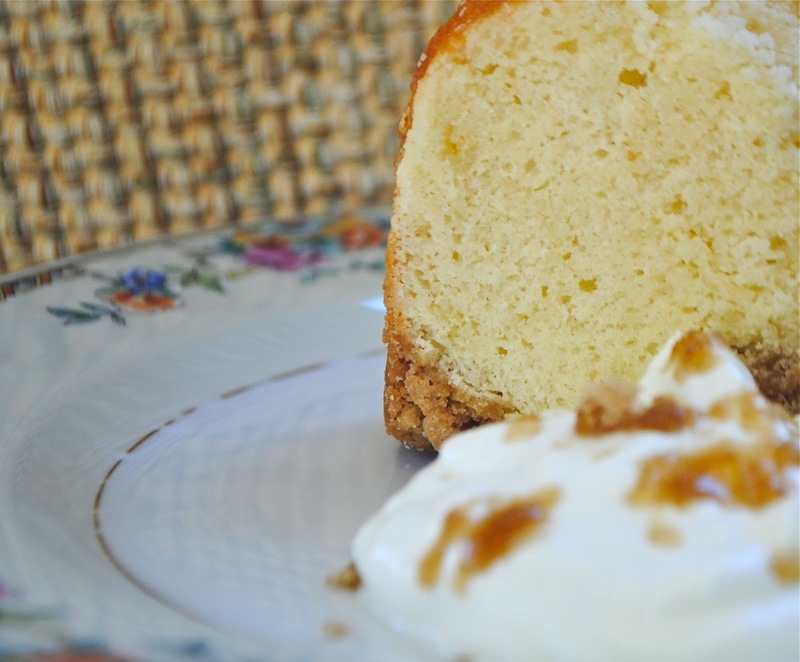 Run a dull knife around the edge of the cake to make sure it is separated from the pan. 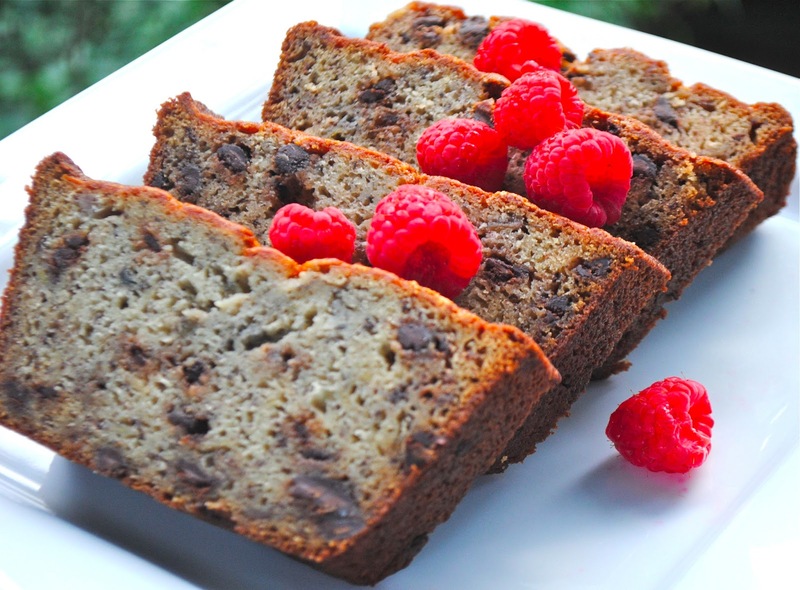 Gently remove the cake from the pan and let it cool completely on a wire rack. 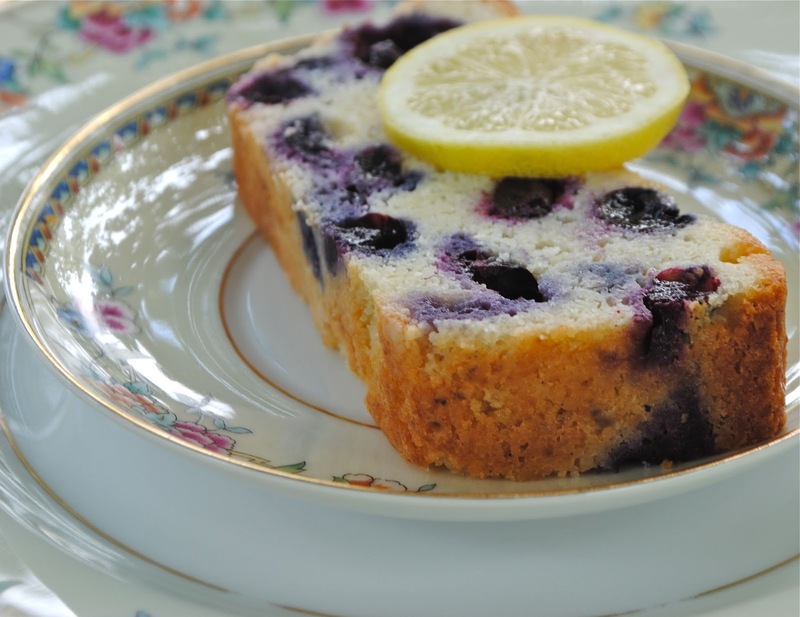 Note: I added 1/2 cup more blueberries than the recipe indicated – I like a lot of fruit! But it was too much batter for the loaf pan, so I made muffins with the extra. In a small bowl, stir the flour, brown sugar, cinnamon, and salt. Drizzle the melted butter over the dry ingredients and stir until well combined. 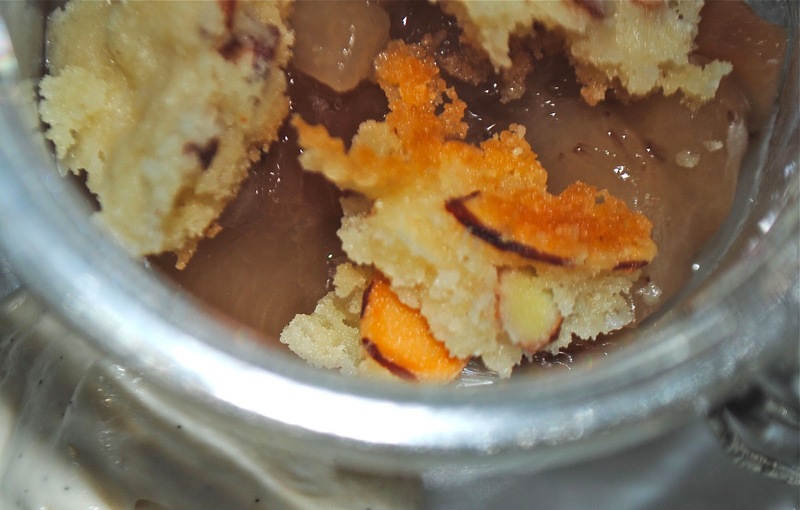 The streusel should feel clumpy, not sandy. If it seems dry, add more melted butter. Position a rack in the center of the oven and heat the oven to 350F. Lightly butter the bottom and sides of an 8-inch square metal cake pan. Line the bottom of the pan with parchment and butter the parchment. Dust the pan with flour, tapping out any excess. In a small bowl, whisk the sour cream, vanilla and almond extract. In a large bowl, cream the butter, sugar and egg yolk with a wooden spoon utnil blended, about 20 seconds. Using a whisk, whisk in the whole egg and salt and continue to whisk until the batter is smooth and the sugar begins to dissolve, about 30 seconds. Whisk in the sour cream mixture. Sift the cake flour, baking powder, and baking soda directly onto the batter. Whisk until the mixture is smooth and free of lumps. Spread the batter evenly in the pan. Sprinkle the streusel over the batter, squeezing it with your fingertips to form small clumps. Bake until puffed and golden and a skewer inserted in the center of the cake comes out with only moist crumbs clinging to it, 28 to 30 minutes. Set the pan on a rack to cool for 15 minutes. Run a knife between the cake and the sides of the pan. Invert the cake onto the rack and remove the parchment. Invert again onto a serving plate, so the streusel is on top. Let cool at least 10 minutes before serving. This cake is best served warm. The Vernal Equinox, established when Julius Caesar designed the calendar, heralds the first day of spring, and an equal amount of day and night. The Egyptians built the sphinx so it points toward the rising sun on this day, it is the beginning of the Persian New Year and significant in Christianity. In a large pot, melt the butter. Add the onion, carrots, celery and garlic and cook over moderate heat, stirring, until softened, 5 minutes. Add the cumin, coriander and chile powder and cook until fragrant, 3 minutes. Add the tomatoes and cook just until softened, 2 minutes. Add the lentils and 4 cups of water and season with salt. 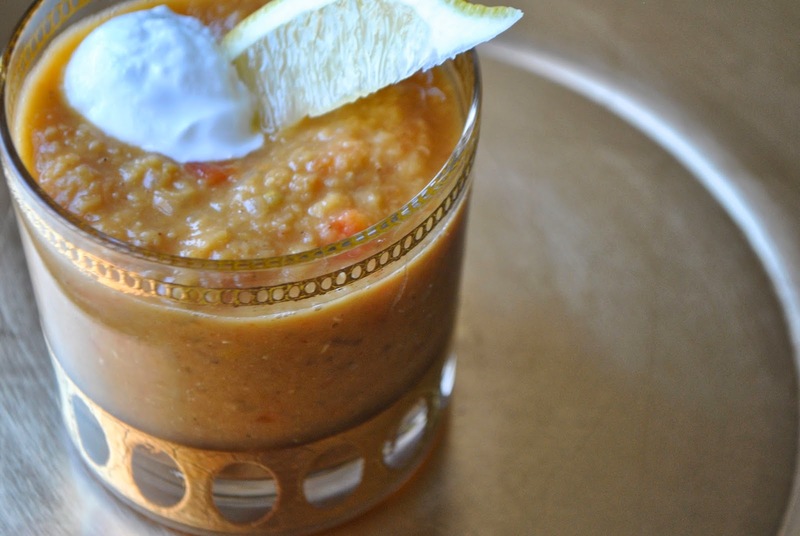 Simmer over moderately low heat until the lentils are very soft, 30 minutes. Puree the soup with an immersion blender. Season with salt and serve with yogurt, lemon wedges and warm pita. We were really looking forward to having some of the most fabulous people we know for dinner. What started out as a small gathering, grew to 12 adults and 14 children. We started the evening outside on the deck, with a cocktail, and radishes sliced in half, spread with goat milk butter and sprinkled with sea salt. We then moved inside to dine on braised ox-tail, roasted vegetables and pork shoulder my husband had slow cooked in hoisin sauce and red apple ale. I rounded out the meal with a spring salad lightly dressed with a tangy lime vinaigrette and a simple white peach crisp served with whipped cream and coffee. 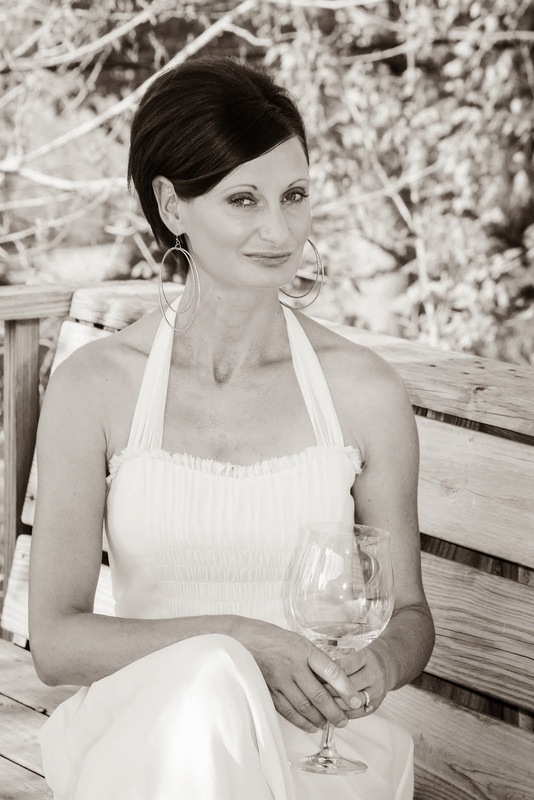 It was a delightful spring menu for an incredible evening, joyfully served to wonderful friends. Peel and chop the cucumbers, transfer to a food processor. Add rosemary and puree. Pour the puree through a fine-mesh strainer set over a large measuring cup. Press on the solids to extract all the juice. Add gin, lemon juice, and agave nectar to the cucumber juice, stir until the agave is dissolved. 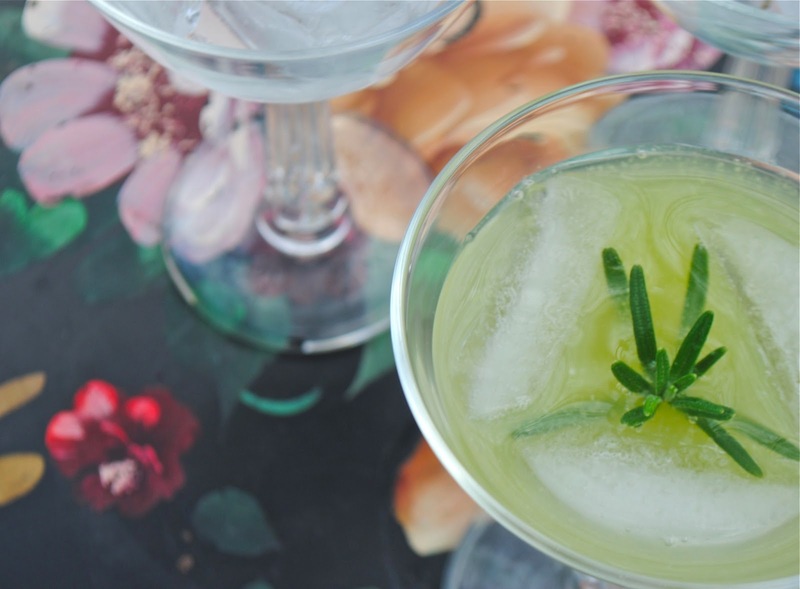 Divide among ice filled glasses and garnish with rosemary sprigs. In a small bowl, coat the apple with the lime juice and set aside. 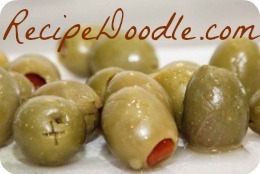 In a medium bowl, combine the lime zest, artichoke hearts, green onions, cucumber, celery, parsley, and grapes. Separate the leaves of the lettuce, and place one on each plate. 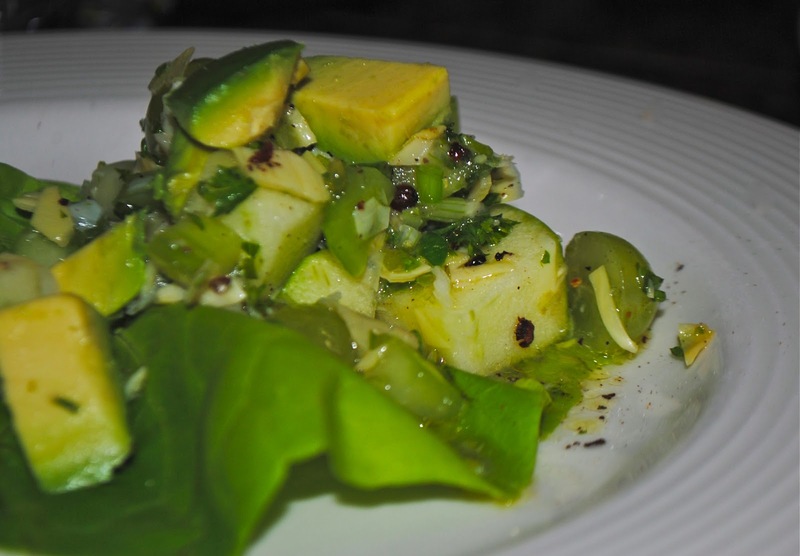 Top with the vegetables, and arrange avocado on top. Combine all ingredients and mix well. Drizzle over top of salads. In a food processor, pulse together flour, butter, almonds and sugar until crumbly. Spread mixture on a cookie sheet. Bake until golden brown, about 20 minutes. Cool on sheet, then crumble into pieces. In a medium saucepan, combine peaches, honey, lemon juice, and sugar. Cook over medium heat, stirring until peaches are tender and juices thicken slightly (I ended up adding a little cornstarch to thicken). Remove from the heat and cool. Spoon 1/3 cup peach mixture onto each serving dish. Sprinkle each serving with streusel. Serve with vanilla ice-cream or whipped cream.